Kohei Uchimura poses for the cameras with...a towel. It was basically no surprise that Japan&apos;s Kohei Uchimura won the gold medal for men&apos;s gymanastics all-around. 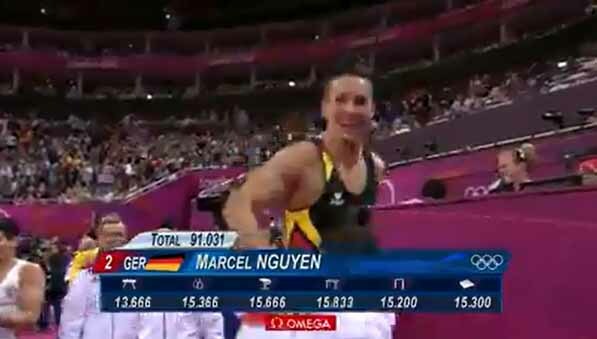 But it was a surprise that Marcel Nguyen of Germany took silver at the last minute — even to him. USA&apos;s Danell Levya came in third. 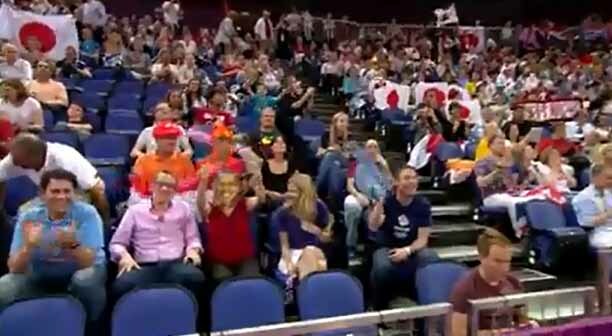 And some random woman in the audience was wearing a mask that made her look like Barack Obama, which is weird, because he was back in the United States, praising the Olympic gymnasts. Well, the female Olympic gymnasts, but we can probably assume his statements hold true for the men as well. "These gymnastics folks...I don&apos;t understand how they do what they do," said the president. "How do you not bust your head everytime you&apos;re on that little balance beam? I couldn&apos;t walk across that balance beam."